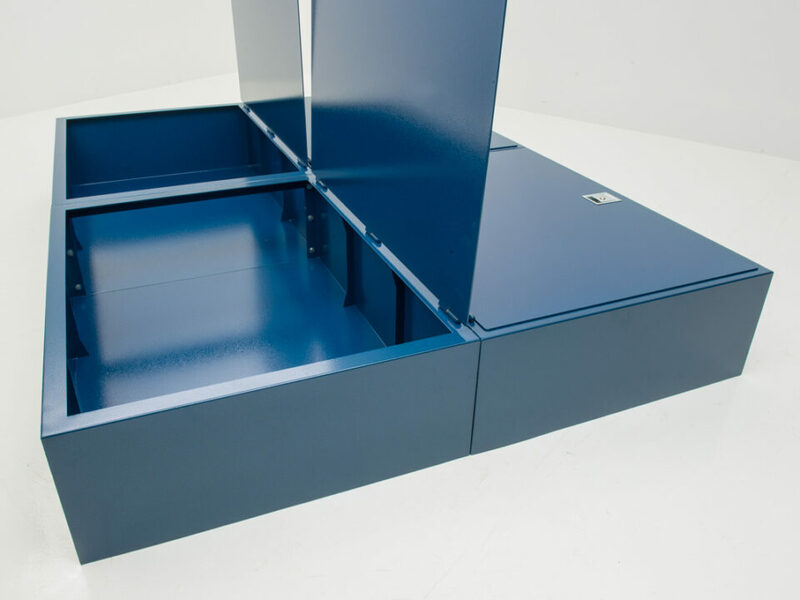 The BedBunker LT is made in the USA. 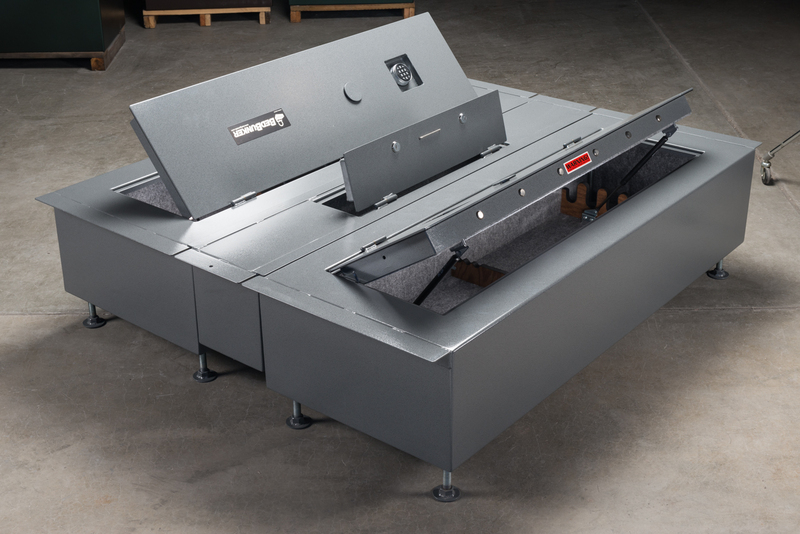 The Body is made from roll formed 14 guage steel to minimize welds.The body has a return flange for added strength. 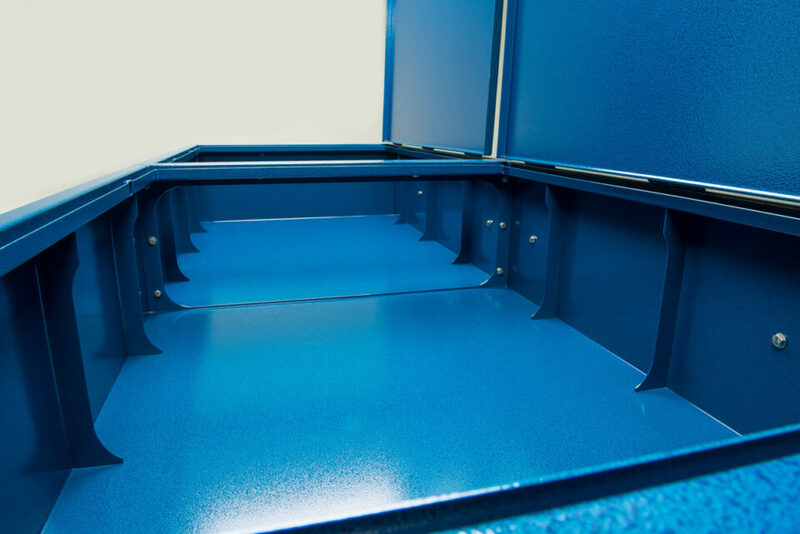 All welds are WSA certified. The door is made from 10 gauge steel and has a bent flange to minimize prying. 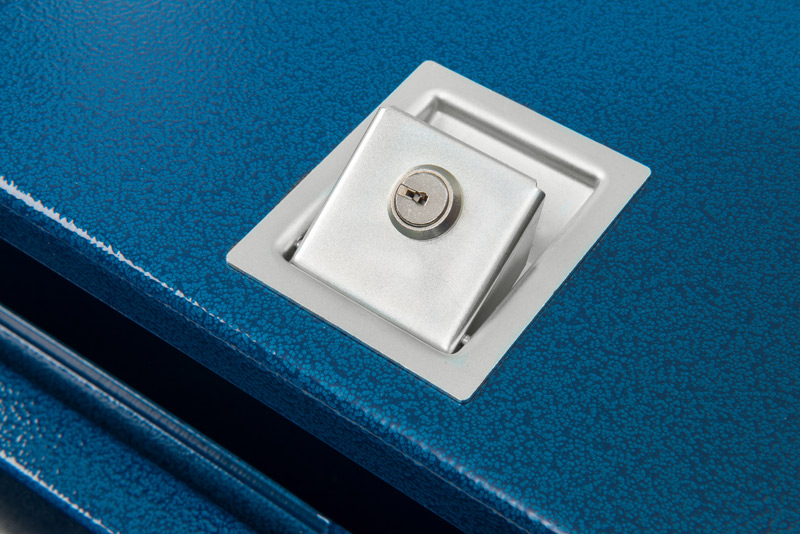 The door locks secure the door in two places. 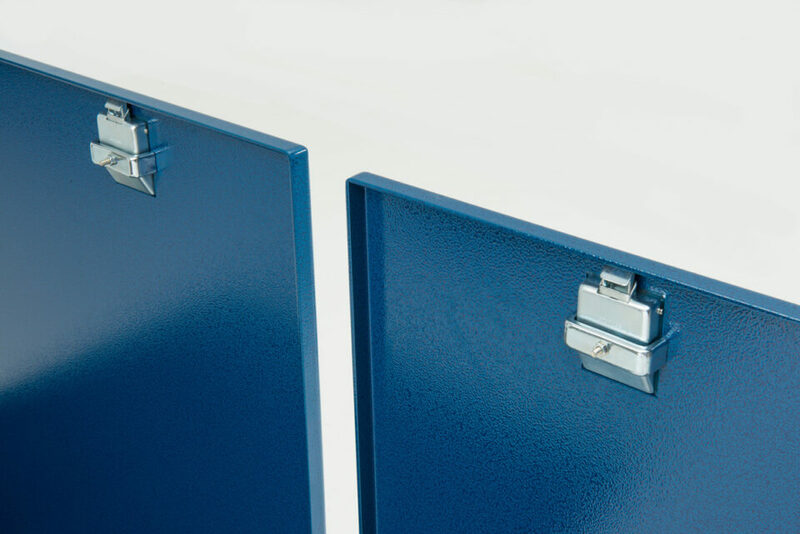 Each door has two hinges that are welded in place. 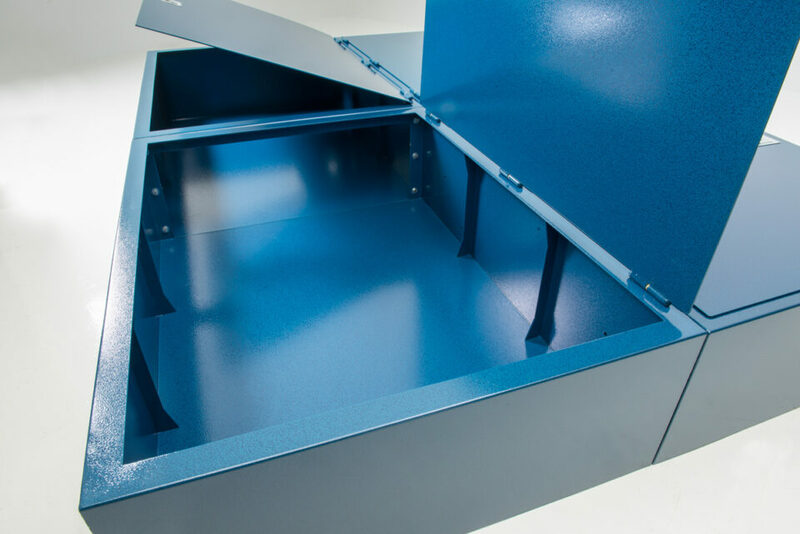 The complete safe is powder coated inside and out. 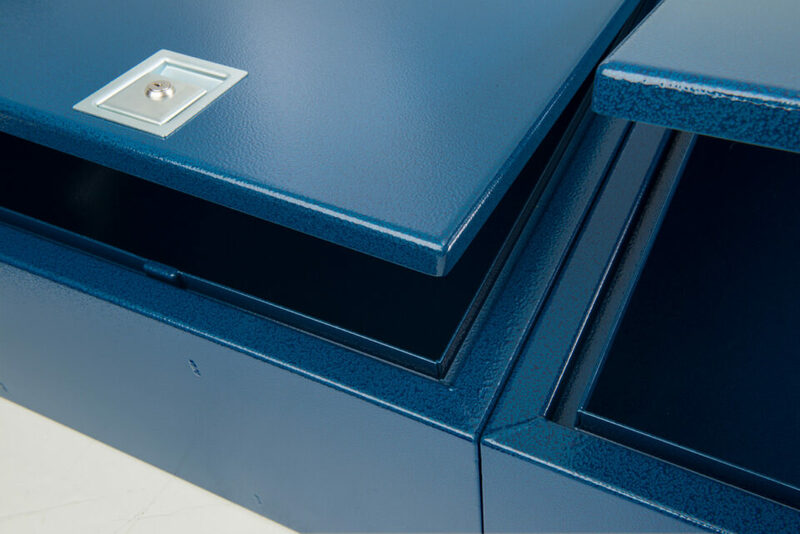 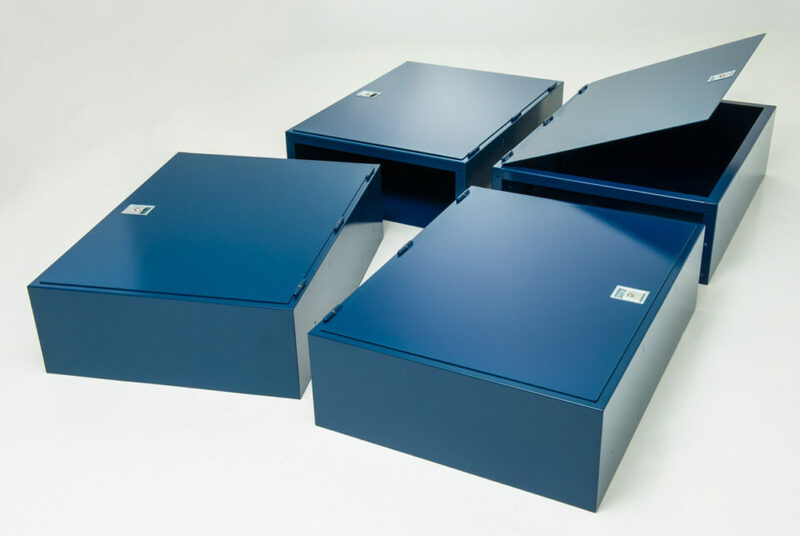 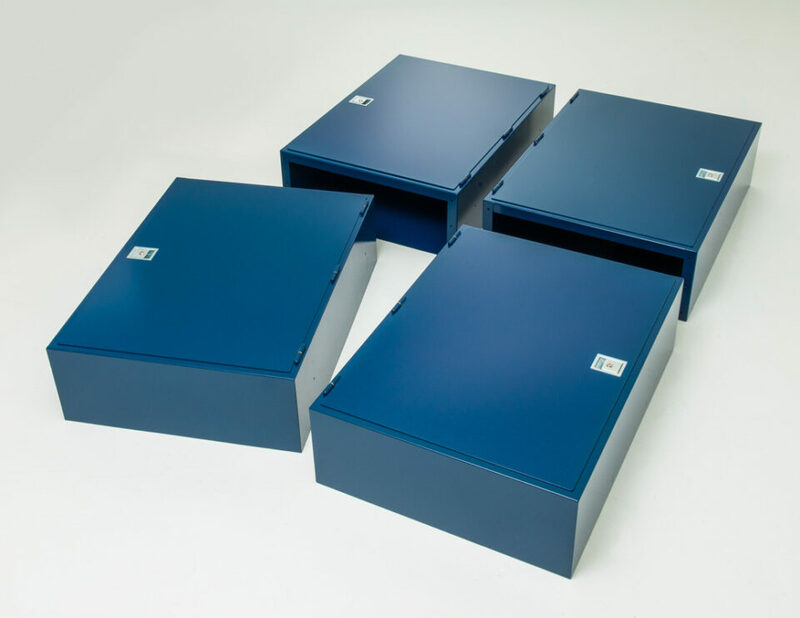 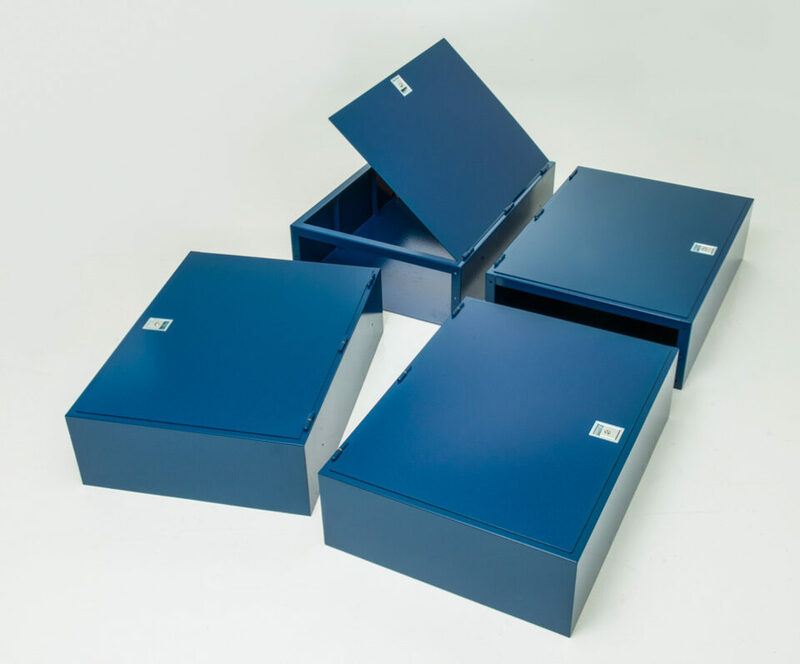 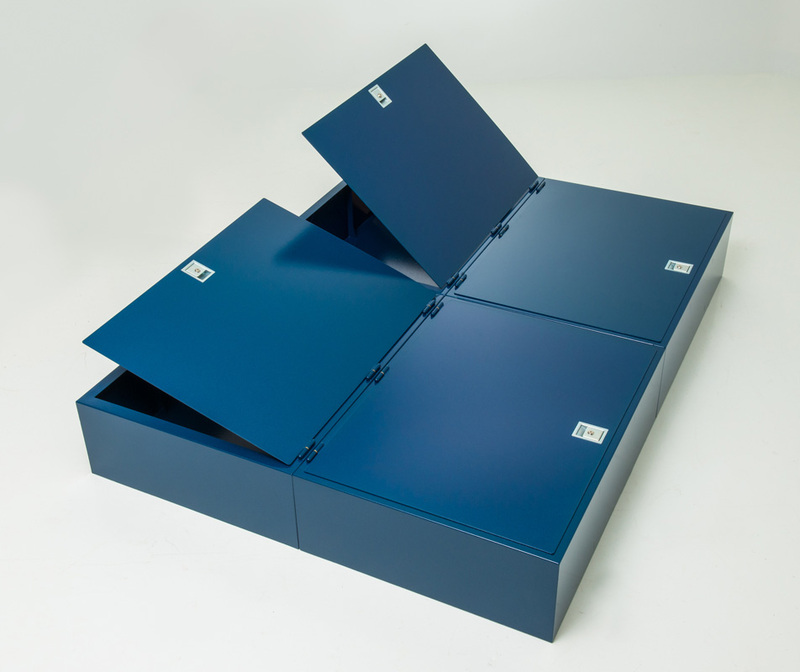 The queen and King safes are composed of 4 sections with its own locking door. 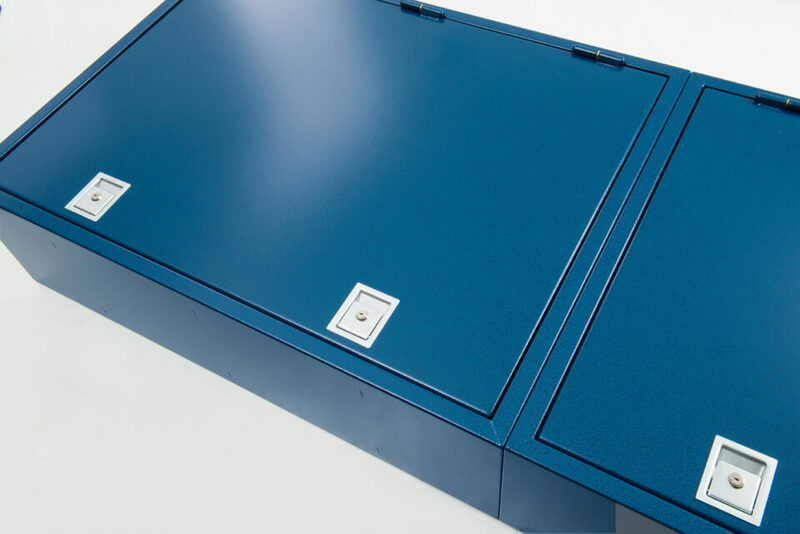 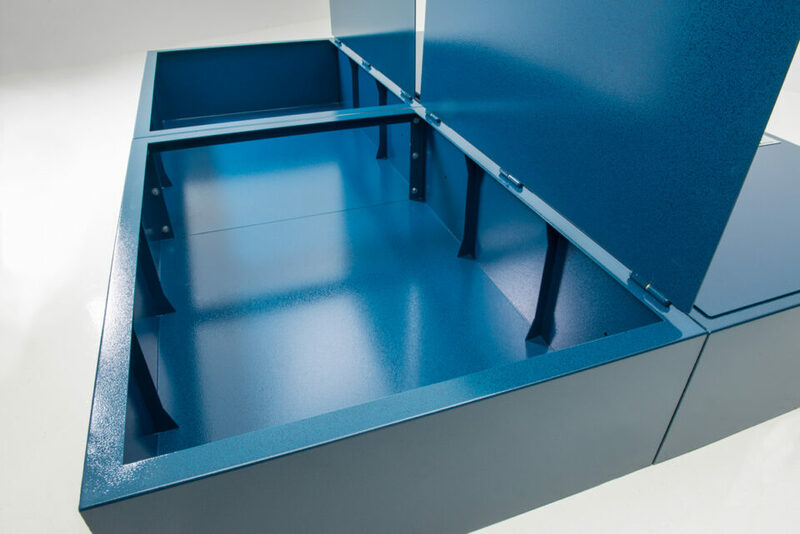 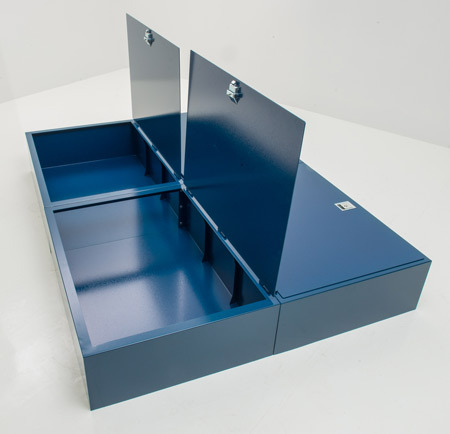 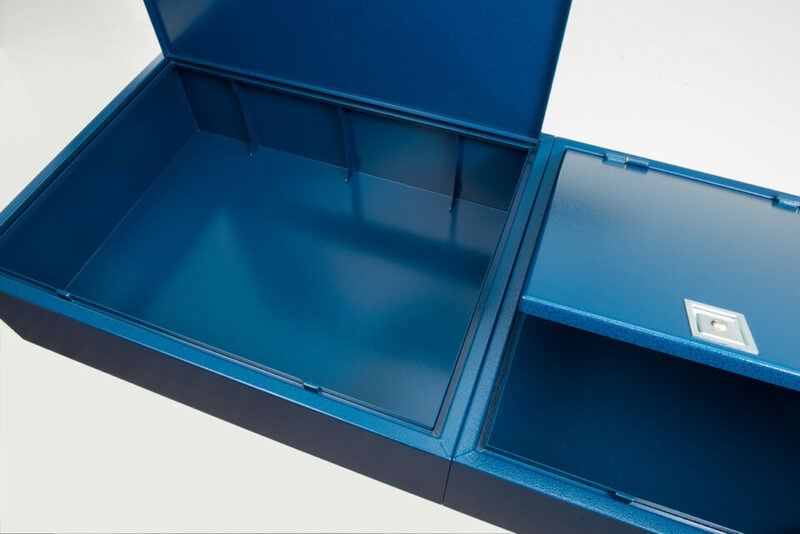 The sections bolt together from the inside after you put the safe in place which makes it virtually impossible carry out once the safe is in place. 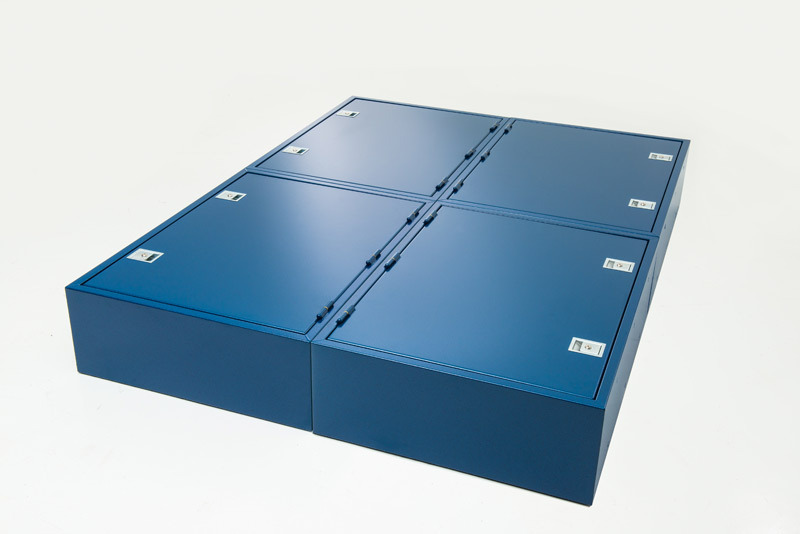 One key opens all four doors. 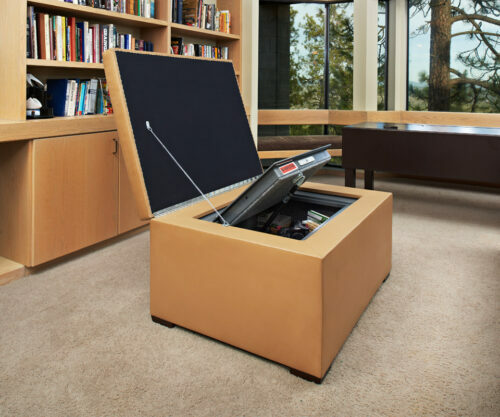 The safe is also compatible with RV’s and boats. 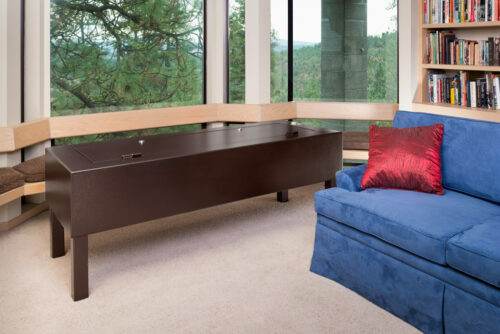 Twin and king sections are 39″ x 37.5″ x 11″ and weigh 115 pounds each. 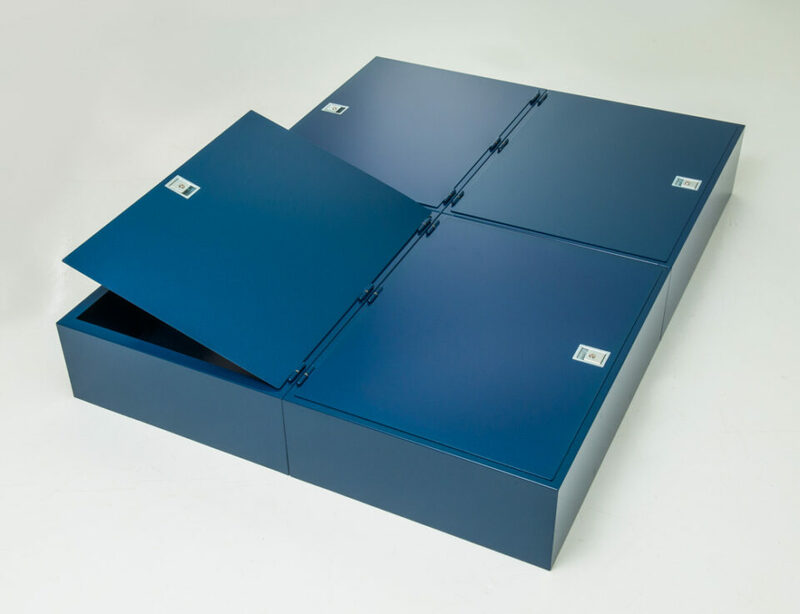 Two sections make a twin and four sections make a king.